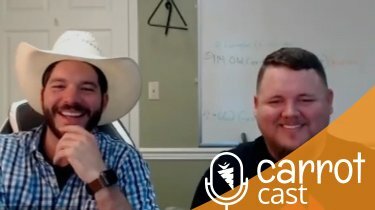 On this CarrotCast episode Boston’s #1 Home Buyer, Tom Cafarella, breaks down his journey and real estate marketing strategy. Tom walks through step by step his journey from a job he hated, to making the leap, to realizing he needs to be great at marketing. Tom spends $1million a year on marketing. He explains what works for him and what doesn’t. His #1 way of generating leads online is Facebook (for sellers). He breaks down in detail how he’s having success on Facebook where others aren’t. And, before switching to Carrot a year ago or so, he was skeptical Carrot could outperform his custom site. He made the switch and test it. Carrot doubled his online leads and business… HUGE ROI. 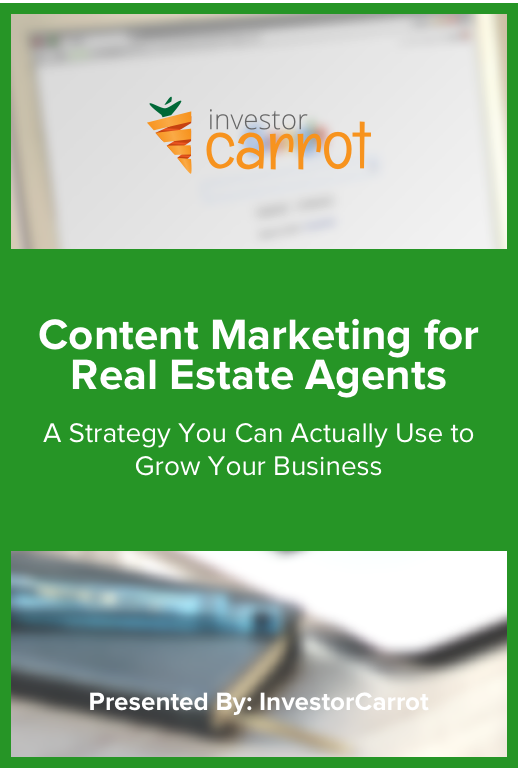 Listen to this CarrotCast episode and how to create your own real estate marketing strategy and generate more leads for your business. 1:15 – Who is Tom Cafarella? From a “hated” accountant position to building a real estate company now running 100+ fix and flips per year and much, much more. 9:00 – The two things that triggered Tom to change his mindset to take a risk and get going in real estate. You have to put in the hours to be successful. 15:55 – What happened after his first wholesaling deal that netted him $115,000. Implementing different marketing systems and why did he decide to leave the Homevestors franchise. 19:05 – When and why Tom became a student of real estate marketing strategy. 21:00 – Find out a little bit more about his real estate system and training at realestateinvestingiseasy.com. 24:00 – What he tested during his marketing scaling and diving into Facebook ads. 27:45 – What types of ads are working for him on Facebook. 32:25 – Why it is so hugely important to drop people on a high converting, quality, website. 34:15 – Your missing big time lead volume if you don’t have a mobile responsive and optimized website. 37:00 – How to build a cold call list. Is so important to Tom. 43:30 – Overall – you need to marketing for deals every month. If you don’t you’re going to fail. 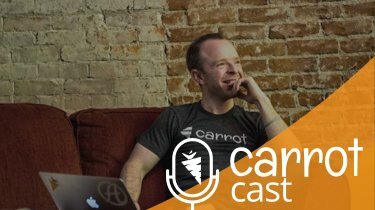 45:45 – Why he made the switch from a nice looking custom website to Carrot. 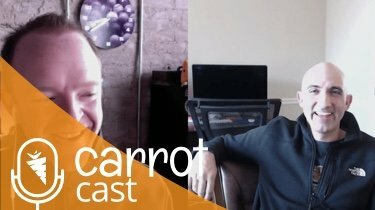 49:15 – Tom’s estimated ROI Carrot will produce for him – it’s amazing! !